Stress and anxiety: Stress and high anxiety levels can lead the strongest willed person to down a pint of ice cream to try and sooth over things. 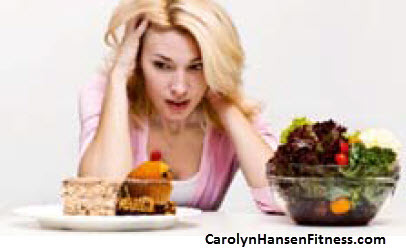 Eating when stressed results in a double whammy because your cortisol levels are high at that moment and cortisol is the hormone that encourages fat gain…especially around the middle. Because of the anxiety felt, many people are not even aware of how much they are consuming and before they know it they’ve eaten their way through a box, bag or plate full of food and they can’t even remember eating or enjoying it. They are simply going through the motions. Happiness: Emotional eating works both sides of the plate. Some people find they eat more when they are happy and enjoying themselves in the company of others. This turns problematic too because you begin associating certain feelings with certain unhealthy foods or food in general and every time you experience similar feelings again…guess what you turn to those foods again. Sleep habits: Most people have no idea how much quality sleep can affect our appetites and therefore our weight. When you are sleep deprived, you’ll wake craving carbohydrates far more than you would with a good night’s sleep. Because your body has not gotten the sleep it requires, it is seeking energy and reaches for the fastest form of energy it can take in…simple carbohydrates…sugar. Lack of sleep causes the hormone cortisol to surge reducing your insulin sensitivity. When you finally give in and eat those sugar carbs your body is craving, your body will likely convert them straight into body fat stores. “Get your beauty sleep” has a much deeper meaning when you realize your health actually depends on it. Let other things wait till the next day…get your 8 hours sleep nightly. Exercise habits: Without a doubt, exercise influences energy intake. The more you work out, the more fuel you require. This is your basic “energy in vs. energy out” principle. Those who exercise burn more energy and require more food. Pretty simple. Food choices: It’s important to know that processed carbohydrates when eaten alone will only make you want to eat more and more food while a protein and fat combo works to blunt hunger allowing you to push food away. Knowing this helps you to better prime yourself for optimal fat burning. Daily activity level: Your day to day activity level influences your energy intake. On days you are more sedentary you eat more food because sitting around doing nothing is boring and tends to prompt hunger and the desire to eat. On the flip side, when you are active, out and about it tends to decrease your desire to eat. For example if your job is an active job that has you moving all day long you will no doubt want to eat more food because you are burning more energy and your intake of energy needs replacing. The key is to start focusing on food choices. Choosing the right foods at the right time throughout the day and your hunger and food intake can naturally take care of itself and your body naturally stabilizes as it should. Listening to the signs your body is giving you and adopting the right structure to your diet is ultimately important for success. Your calorie intake falls into place naturally and you’ll start losing weight naturally.